The Flak 2.0 XL makes Oakley's Prizm Trail Lens technology more accessible, both in price and in style. That's significant because Prizm Trail lenses are probably the world's most highly evolved mountain bike optics. Although they will work fine for general outdoor use, Prizm Trail Lenses were designed specifically for mountain biking. Oakley devoted 15 years' research in the development of the Prizm trail, their best mountain bike lens. The Prizm Trail lens's 36% transmission achieves the trick of brightening up a dull day and enhancing definition, while still protecting your eyes from glare when it's sunny. Prizm Trail lenses are designed to cope with changing light conditions. 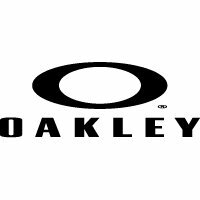 Prizm lenses enhance contrast by a factor of two compared with Oakley's previous best. The light transmission remains consistent (as far as your eyes are concerned) whether you're riding in bright sunlight or overcast conditions. The Prizm Trail lens has been designed to make it easier to 'read' the trail so you can differentiate between greens and brown to help you pick out the best lines. The Prizm lens has a glare-deflecting Iridium coating. Given they are already renowned for the range of lens tints they have pioneered from persimmon to Iridium, it says a lot when Oakley suggest Prizm is their most highly developed lens tint ever for trail riding. The Oakley Flak 2.0 frame design offers excellent coverage and wraparound to maximise eye protection. Supplied with soft vault case (pictured) and lens-cleaning softbag. Prizm™ is a revolution in lens optics built on decades of color science research.